Congratulations to Daniel winner of the CC WiFi Radio. 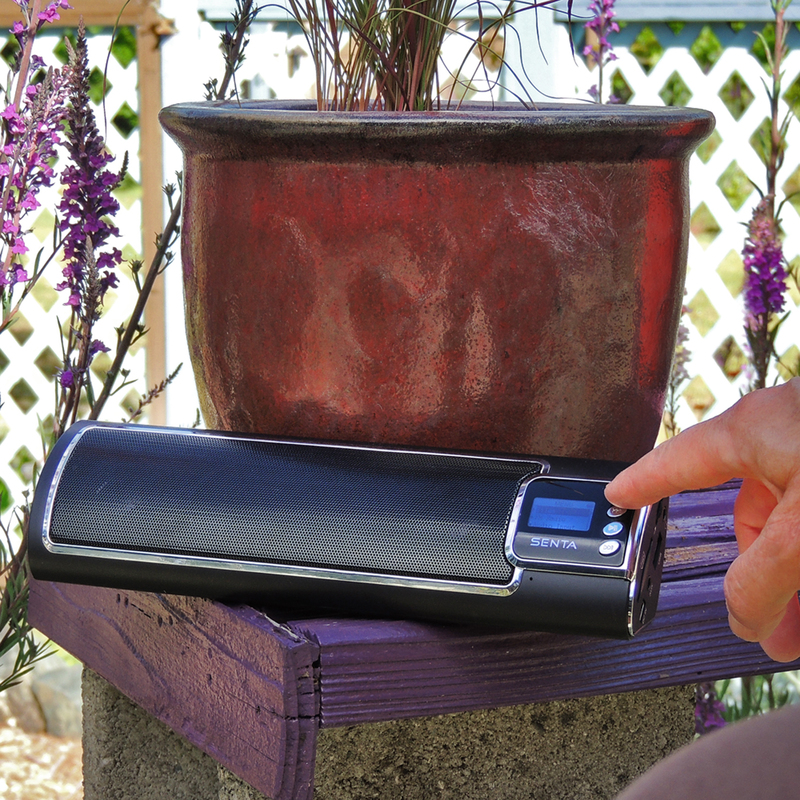 Today’s giveaway is the Senta Ally Bluetooth® Stereo Speaker w/ FM. Today’s blog question: What is your favorite holiday food? Turkey & stuffing & pie. Can’t beat roast turkey and cornbread dressing! Yum!! Everything! Pumpkin pie, spiked egg nog, hot mulled cider. Another vote for ham and cookies. It’s a three way tie between (1) pickled herring in cream sauce (2) Pannetone, and (3) angel food candy (a/k/a sponge candy). Yum! Eggnog and fruitcake. Although my wife makes an awesome pot roast every year for our Christmas dinner. Every year we pick a family members favorite food and share for the family meal. I Love it all and just grateful to have family and friends to share it with. This year will be Turkey and stuffing. My Aunt selected that. Tamales, Tamales and more tamales. .
Pumpkin pie and Christmas cookies. This year the turkey and dressing took top prize at our house. A good well made dressing and green bean casserole ! Candy canes and Christmas cookies. my mother’s sugar cookies. she makes them every year. they are so good.